Youth and beauty – these are two things that your friends (and yourself) might put on your must-have list at any given time. To always look young and energetic, dazzling everyone with your attractiveness and a winning spirit that shows your can-do attitude. To always have that adrenaline flowing through your veins, confident that you can move and act in the pace you want. More than the potent combination of collagen and hyaluron, Premium HyC 150 also contains a good dose of Pearl Coix Extract that brightens skin, making you look fairer. Long used in traditional Chinese medicine for centuries, it also helps eliminate freckles, heal tumors, and remove inflammation from the body. Complementing this is Vitamin C, which makes your skin healthy, spot- and blemish-free. 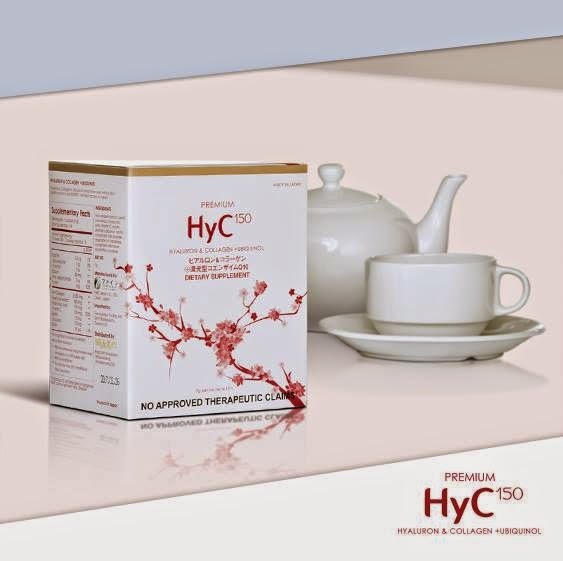 Make it a habit to take Premium HyC 150 daily, then see and feel the difference in just a few days. Youth and beauty in one sachet. It’s a convenient holiday gift you can give your friends and see its lovely effects last longer than the season. For more information, visit their website at www.HyC150.com; like on Facebook https://www.facebook.com/HyC150, follow on Twitter #HyC150 or Instagram @HyC150. Or call (02) 5467297. Premium HyC 150 is now available at selected Watsons stores nationwide. I have seen many products similar to this but never tried any of it. Kasi I baka hindi masarap, pero your review makes me wanna try this.